Sometimes you just need to ask a question! And sometimes you need a bit of extra support while you get yourself on your feet. Either way, I can help. 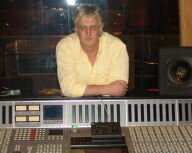 I have many years experience teaching audio, both theory and practical and can answer pretty much anything you need to ask - and if I can't, I know plenty of people who can. Subjects such as music publishing basics, music business and audio theory - decibels, for example, or soundwave theory - are all supported by .pdf documents so that you always have a reference to fall back on. Help and advice via Skype on a range of subjects from audio theory to game audio production, music publishng, business management and promotion. I will be on hand to help and advise at any time, to answer questions and to guide you in the right direction.